One of specialized vehicle shipping services is Truck Transport. If you need to ship a truck, keep in mind that there are various types of trucks of different sizes. You can find an auto shipping provider for any kind of truck, but you have to make sure the company you have chosen to contact will not have a problem getting a carrier for your truck. Sometimes it can be challenging. For instance, it is not often that people ship semi-trucks. There are not many situations in which semi-truck transport is needed, and it can be quite pricey. Finding a carrier who will agree to deal with a big rig is not always easy. Make sure you deal with a company that is up for that task! With Colorado Springs Car Transport you don’t have to worry if you will find an auto hauler for your truck, because for our team it is not a problem. We ship all types of trucks across the country, shipping door to door. When other Colorado Springs Auto Shipping companies can pass, we will happily accept the challenge. We have a crew of experts experienced in Heavy Hauling services, so you don’t have to worry: even if it is a big rig or a dump truck, we will ship it safe and sound, leaving you nothing to worry about. You have to keep in mind that truck transport is far from the cheapest shipping service. But at Colorado Springs Car Transport we always get great deals for our clients. 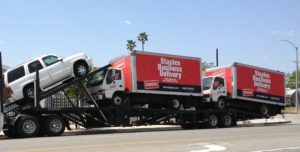 Contact us today and let us help you move your truck safely and at affordable price! We can also help you with services like Trailer Transport, Van Shipping and many others.